I just started taking a drawing class here in San Francisco at Root Division. 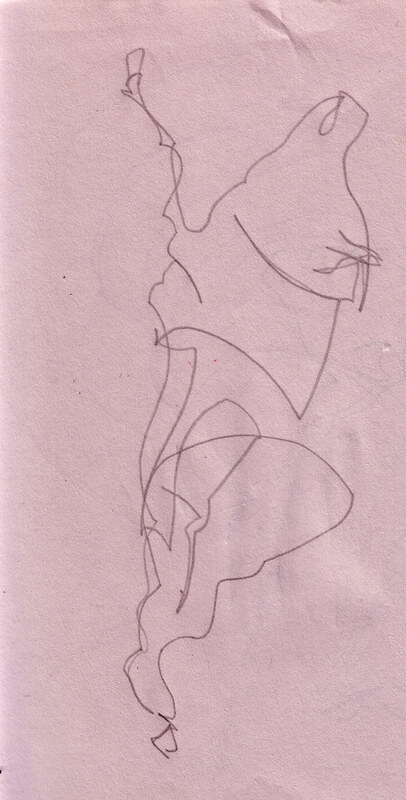 Last week we started doing blind contour drawings....basically drawing the countours of objects, in one continuous line, without looking. So it is a bit challenging, but I decided to try to do a pork meat sections. this is the result. I, uh, wouldn't use them to butcher a pig. I dunno, I think you've got all the important parts down. hah. maybe... but I would definitely eat the second over the first. Nice and meaty.